we’re not hiring employees. we’re building a team. one team. Wherever and however Target fits into your career path, our belief stays the same: don’t just work somewhere, work somewhere you love. Explore our career areas A to Z to learn more! We're looking for administrative professionals who can work with Target's managers, directors, vice-presidents and their teams. 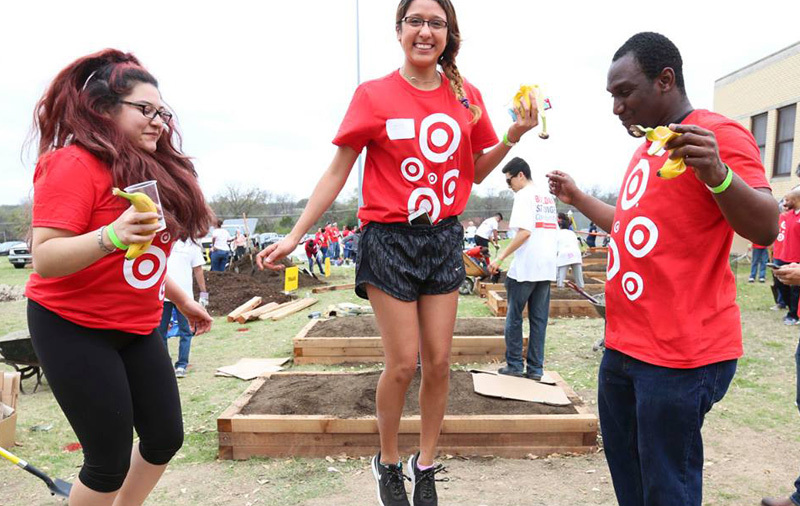 You'll provide critical support to the management team while also enjoying the dynamic culture that defines work at Target. Bring your passion and expertise to Target to help cultivate a powerfully positive local and global presence. You'll rise to the challenge of maintaining our good stewardship of the environment, its resources and its key partnerships with other organizations. From guest service professionals and product designers, to vendor managers and financial and workforce management analysts, FRS comprises several key and high-visibility areas that elevate and nurture Target's distinctive reputation. With the chance to positively impact hundreds of thousands of people worldwide in our stores, distribution centers and headquarters, be a strategic partner to the both the leaders and team members who elevate and nurture our guest experience. Consistently deliver on the exceptional value, quality and style that elevates Target as the premier retailer in a competitive global marketplace. Through intelligent and progressive business strategies that make the most of our resources and partnerships worldwide, Merchandising works across product categories to create a localized shopping experience, both online and in store. Reimagine how we get the right product to the right guest even better, faster and more cost effectively than before, so that no matter how guests shop—in stores or online—we deliver the convenience and immediate gratification they demand and deserve. We're committed to innovation, especially when it comes to technology. Maybe you heard, but in 2016 our digital sales grew at an industry-lapping 34%! We're continuing that momentum by investing big to improve our digital experience. When people say they love Target, they're usually talking about visiting one of our stores. That positive and welcoming in-store experience is made possible by the teams that create amazing experiences for our guests every day. Take a leading role in the smooth operation of our supply chain network, so that no matter how guests shop—in stores or on Target.com—we deliver the convenience and immediate gratification they demand and deserve.